So why is our rivalry the greatest? Merriam-Webster and other dictionaries lay out the explanation pretty clearly. A true rivalry is much more than winning one competition, on one night, against one competitor. It is about competing with someone who is your “rival” in every sense of the word. Many dictionaries define rivals as “equals” or “peers” or “partners” in the rivalry. When the word rival or rivalry is used in this way, it means your opponent is very good or even impressive in their own right. Think about it, it is only a great rivalry if both sides have the talent, passion, commitment, and ability to win, every time there is a competition. Now that is a rivalry and I’m arguing that you can’t have a great rivalry unless it is under these conditions. There may be other situations out there that come close to the rivalry described above. So how is our Haywood County rivalry different (greater) than the others? It is a complete rivalry. It is not just football or basketball or softball or baseball. It includes all sports, club competitions, academic competitions, academic performance, ACT scores, etc. It is a complete rivalry and that makes it a great rivalry. Now for the icing on the cake, we have a rivalry fueled by talent and mutual respect. Many of the students and parents are friends or family members. Many of them love and care for each other. Some of them would fight to defend the other school. Don’t be deceived by the few haters that can be found in any crowd. Our rivalry brings thousands of great people together to see the greatest high school rivalry play-out before their eyes. It is one of the most amazing things I have ever witnessed. As we approach the 2018 football chapter of the greatest high school rivalry, go forth and support your team. Do this with vigor, compassion and class. Model the way champion rivals behave. 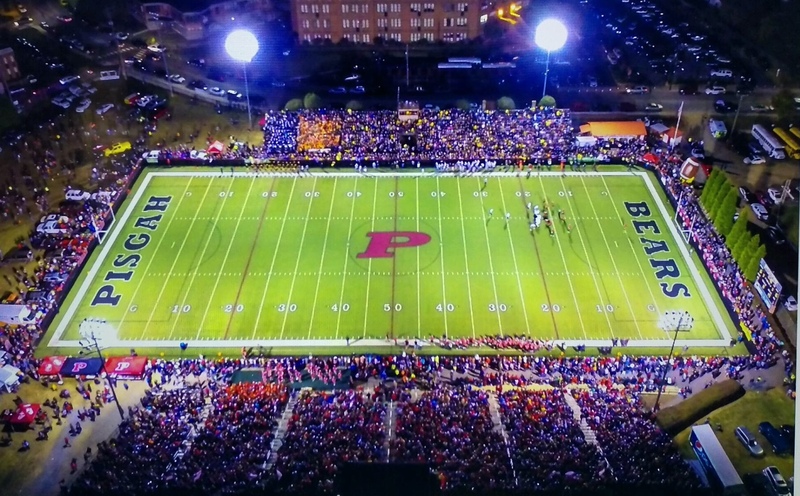 Great rivals like Clemson-Alabama, Pisgah-Tuscola, Carolina-Duke, and others understand it takes two great competitors to have a great rivalry. They also understand that great programs win and lose with their performance and their character.